I RECENTLY attended a chaotic, kid-friendly gathering at the home of a friend. 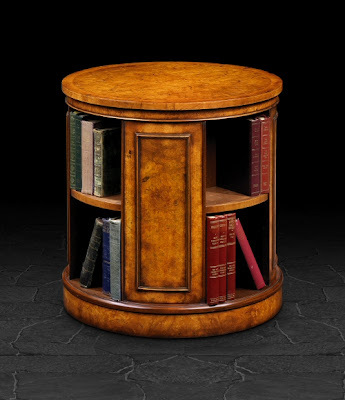 On my way to the bathroom to seek some solace, I decided to indulge in one of my favorite antisocial activities: scrutinizing someone else’s bookshelf. For a veteran sleuth, a bookshelf can offer a trove of insights worthy of any Freudian’s couch. 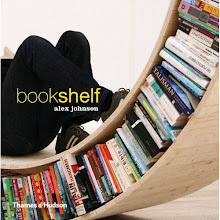 Does a person alphabetize the books or clump them? Do they arrange their books by genre, order in which they were purchased, or color? Are these books unopened hardcovers or dog-eared paperbacks? Jim Stuart of Olathe and Gary Forister of Kansas City, North, are two of the members of the Kansas City Woodworkers' Guild building 24 portable "libraries" (front left) at their Kansas City shop Tuesday, Sept. 20, 2011. 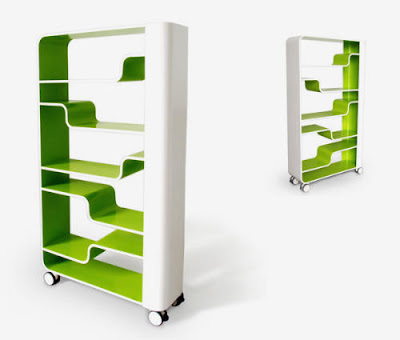 The mobile units, rolling bookshelves designed to open like a book and look like a book, will go to Iverson and Emerson elementary schools in Joplin. Hallmark volunteers will paint the libraries. 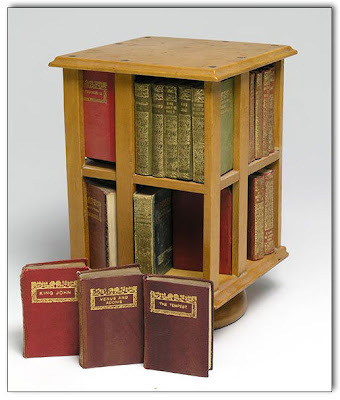 A very sweet miniature bookcase, probably made of maple. 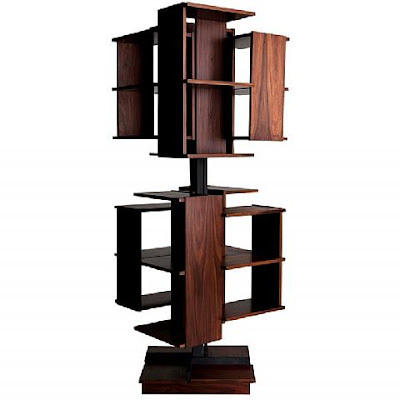 This bookcase revolves on a long steel pin, and spins with ease. The 40 miniature books are volumes of Shakespeare and are printed in Glasgow by David Bryce & Son, and in London by Henry Frowde, Oxford University Press Warehouse Amen Corner. The item is dated 1904. One of the books is dedicated to Ellen Terry, the actress. For almost a decade I have found myself drawn to the intimate, tactile, and symbolic qualities of used books. 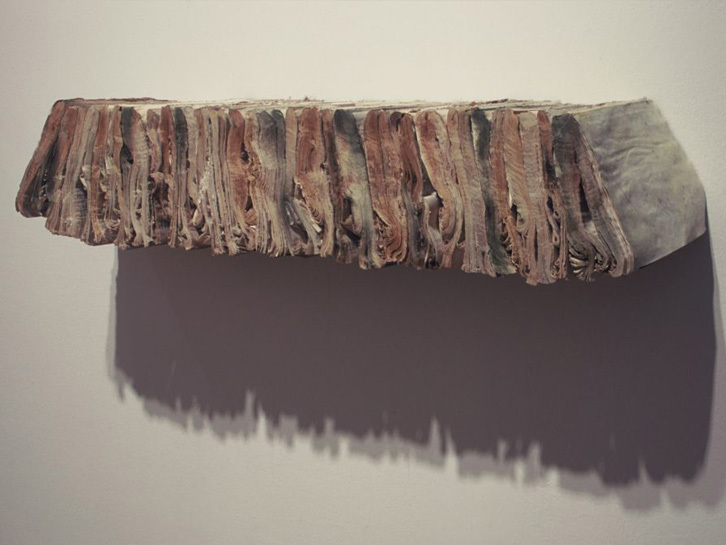 I am interested in how these recycled books come with their own histories of use and meaning and how they serve as potent vehicles of expression. With the idea of working with them as my canvas or building block, I transform the books into sculptures that explore and redefine the book as familiar object, medium, and archetypal form. 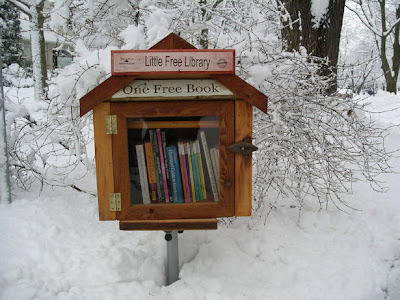 To promote literacy and the love of reading by building free book exchanges worldwide. To build a sense of community as we share skills, creativity and wisdom across generations. To build more than 2,510 libraries around the world - more than Andrew Carnegie. Stands sturdy enough to hold a wealth of books on four open shelves. 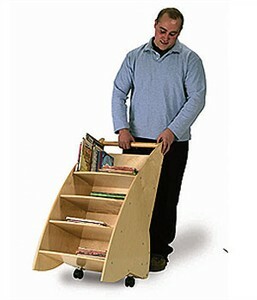 Rolls easily to next story time on jumbo casters. 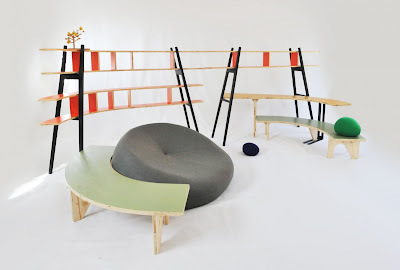 Preschool furniture made of birch laminate and maple construction. Rounded and smooth corners. 39 lbs. 18-1/2" W x 37" H x 21" D. GreenGuard certified. 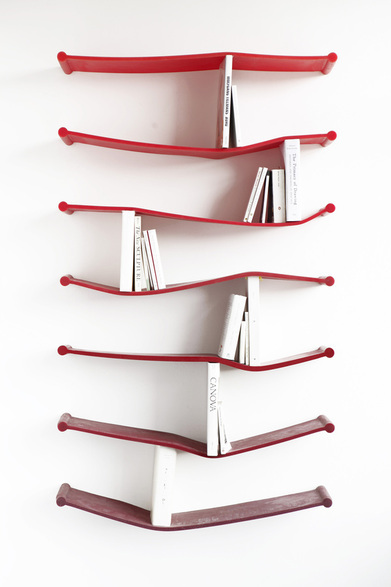 The scatter shelf is composed of 5mm black acrylic shelves in a grid form, stacked in three layers and slightly displaced. The resulting shelving unit is not only structurally strong but creates a visual effect in which objects placed on the shelves appear as though caught in a spider’s web when viewed from the front. When viewed on an angle, the glossy acrylic face creates a series of reflections within the shelves, making the ‘opaque’ acrylic appear to be transparent. The diffused reflections caused by the surfaces’ shine and form also separates and scatters the view behind the shelving unit, creating a completely kaleidoscopic effect. 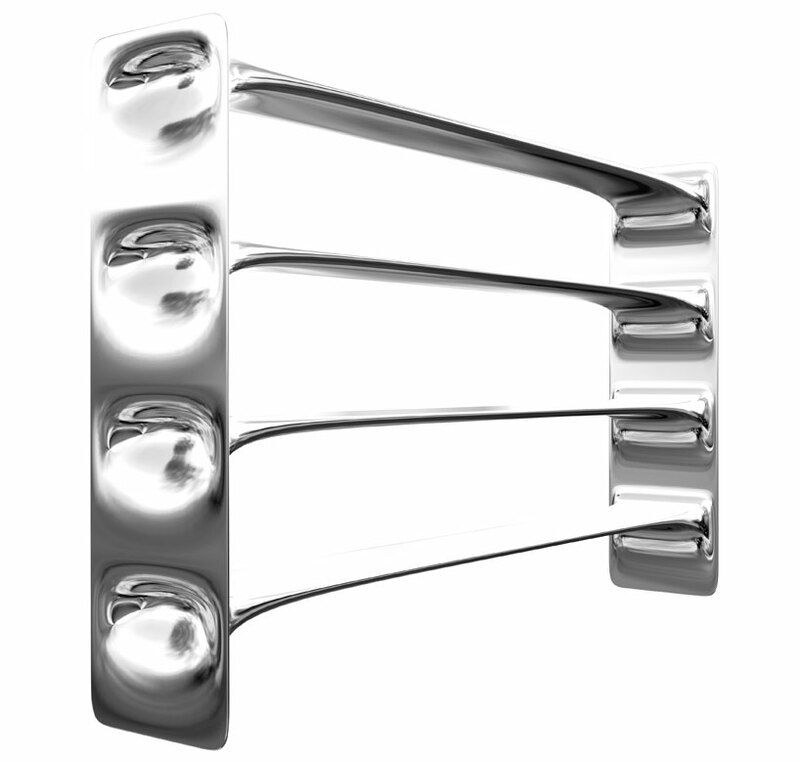 Milled mirror, aerospace grade polished aluminium. Sculptural industrial box set composes custom geometric gallery in raw sheet metal with iron rods. 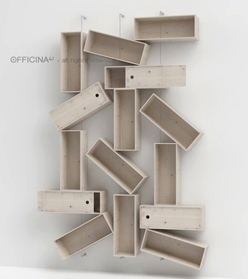 Six different dimensions architect open airy arrangement or concentrated grid of right angles. 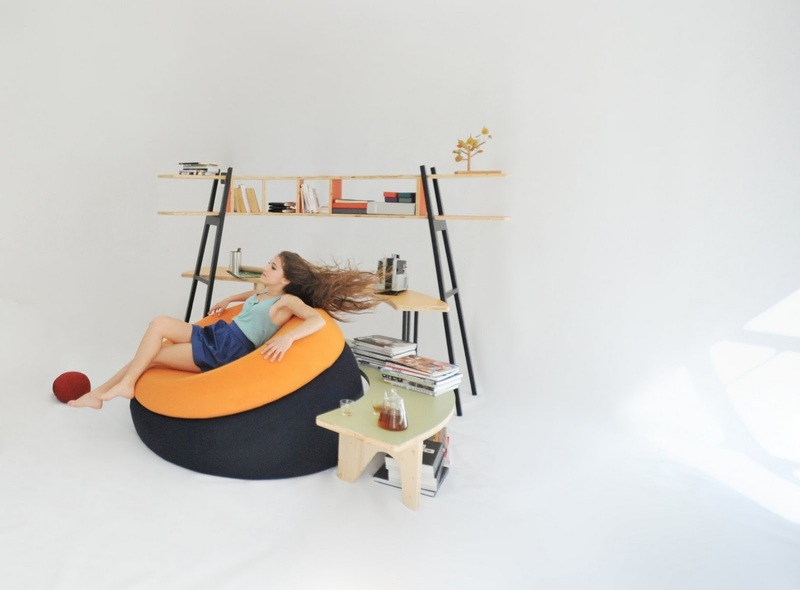 Displays objects, nooks books, arresting empty, too. Exposed brass welding adds raw edge. Inset mounts at each corner attach easy to wall, also freestands on tabletop. 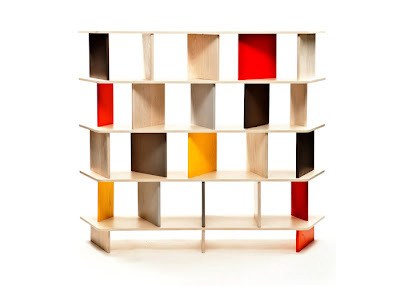 Public bookshelves are sprouting up across Germany. 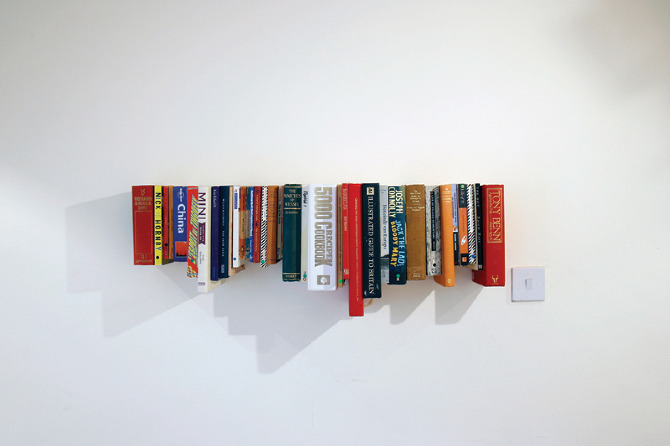 Everyone is welcome to take a book that piques their interest, or leave one they've already read. The amazing thing is, it works. 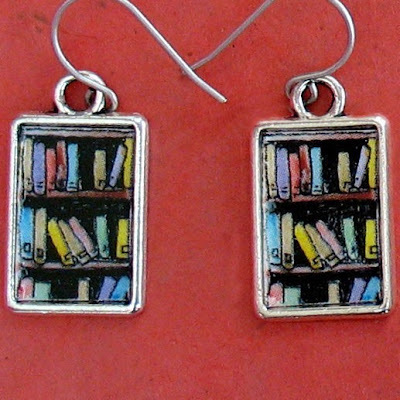 Bookshelf earrings for the bibliophile. 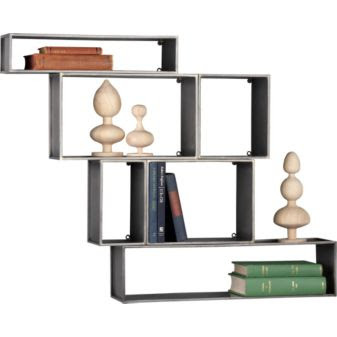 Cute little drawings of books in a bookcase in silver toned frames make the perfect accessory for any avid reader. Total earring length is 1.25 inches.